Here at The Bibliosanctum, we enjoy interacting with others around reading and our busy mom lives. Read-Alongs provide a perfect opportunity for us to interact with other readers and dive into books on our backlist. For more information about any of these Read-Alongs or to see what else everyone is reading, please visit the SF/F Read-Alongs Goodreads group. 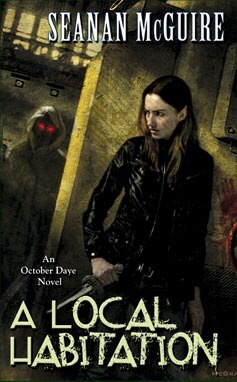 Continuing on to the second book, Lisa at Over the Effing Rainbow has organized a read-along for A Local Habitation by Seanan McGuire (October Daye #2). A group of us read the first book in January and had a fun time. 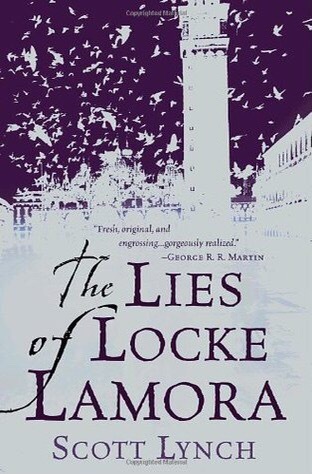 Coming up in April, I plan to knock another book off my TBR pile with The Lies of Locke Lamora by Scott Lynch (Gentlemen Bastards #1) read-along hosted by Imyril at OneMore.org. This one is still looking for hosts, so if you’re interested, be sure to visit the group and pitch in. In this stunning debut, author Scott Lynch delivers the wonderfully thrilling tale of an audacious criminal and his band of confidence tricksters. Set in a fantastic city pulsing with the lives of decadent nobles and daring thieves, here is a story of adventure, loyalty, and survival that is one part “Robin Hood”, one part Ocean’s Eleven, and entirely enthralling… An orphan’s life is harsh — and often short — in the island city of Camorr, built on the ruins of a mysterious alien race. But born with a quick wit and a gift for thieving, Locke Lamora has dodged both death and slavery, only to fall into the hands of an eyeless priest known as Chains — a man who is neither blind nor a priest. 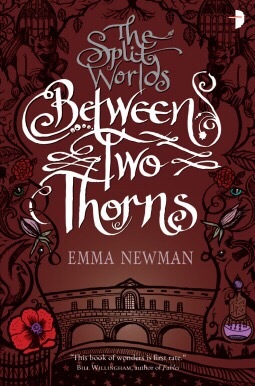 Honestly, I don’t remember putting Between Two Thorns by Emma Newman (The Split Worlds #1) on my TBR pile, but it’s there. I go on blind book sprees and blackout, so it probably ended up there in one of those moments. LOL. This read-along is hosted by Lisa at Over the Effing Rainbow. The new season is starting and the Master of Ceremonies is missing. Max, an Arbiter of the Split Worlds Treaty, is assigned with the task of finding him with no one to help but a dislocated soul and a mad sorcerer.There is a witness but his memories have been bound by magical chains only the enemy can break. A rebellious woman trying to escape her family may prove to be the ally Max needs. Hope to see some of you participating! I’m really looking forward to two of these! I would have taken part in the LoLL – but I’ve already done a readalong and a reread of that book! Even so I was tempted – I like a bit (or a lot) of Jean Tannen in my life. I have had LL on my list for a long time. I am definitely putting this in my calendar. I’m looking forward to reading them and getting a few books off my TBR as well as seeing what everyone else thinks of them. I hear you. They’re very good at making me dig through my TBR pile and finish some things that have been there for a while.